People, over the years, have debated the merits and disadvantages of taking out a payday loan. However, many consumers have found the loans to be financial lifesavers as well. That’s because a payday loan, you might say, has taken on a characteristic that contrasts with other kinds of short-term loans. While it is true that the financing is more costly than traditional funding, it also features an exceptionally short repayment period as well. Usually, you can pay back the loan amount after two weeks’ time, or by the time your next payday rolls around. Critics never mention the benefits of payday loans when the funding is used for its intended purpose – to cover unexpected expenses or events. People criticizing the higher interest rate often overlook the loan’s inherent nature in this respect. Yes – the interest rate is exorbitant if you take out the loan for a year, but it is a trivial consideration if the financing is immediately repaid. After all, a lender won’t make any money if he charges, say, 2 to 5%, on such a small-sized amount. The application process for the payday loan is fast and convenient. Applicants only need their name, address, and telephone number and to prove that they are employed. Once an application is submitted online, it only takes a couple minutes to be approved. Compare this instant source of funding with the longer, more drawn-out process of applying for a loan at a credit union or bank. Not only do you have to provide tax returns and credit report information, you also have to show you are gainfully employed. Plus, after you perform all these gymnastics, you then have to wait for a while to see if you’ve been approved. If you have a pressing financial obligation then, applying for this type of financing can be a frustrating, if not a nerve-wracking, experience. By securing a payday loan, you don’t have to worry about any effect on your credit score. Neither do you have to worry about any impending NSF fee, late payment penalty, or overdraft charge. Because the loan is short-term, you only have to pay $15 to $20 in interest on a $100 loan. Because payday loans are unsecured, you don’t have to put up any sort of collateral – very different from a title loan, which requires that you provide the title of your automobile in order to secure the loan. With a payday loan, all you need to do is to supply your signature. Bankruptcy or Poor Credit? No Problem! Because the payment terms are so short, you can pay off the loan quickly and not have to worry about further outstanding payments. Payday loan lenders look at your current financial circumstances instead of directing their energies on any previous financial difficulties. That’s why consumers who have poor credit, no credit, or lower credit scores can be approved for payday financing. Even if you’ve filed bankruptcy, you have a good chance of receiving the funding. 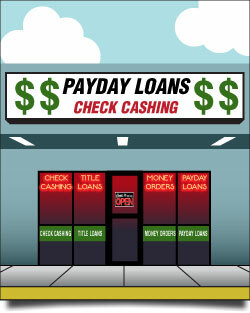 Probably the major benefit associated with a payday loan is the fact that you can access your cash fast. Financial emergencies have a way of cropping up at inopportune times. So, if you need cash quickly, a payday loan is the answer. Funds are generally disbursed the next day of business into one’s checking account. You can find something good or bad about any type of financing. Happily, a payday loan is a positive funding solution as long as you understand the difference between using or misusing the product. After all, the interest rate is fair as you are obtaining a very short-term loan without the need to supply collateral or a credit history. 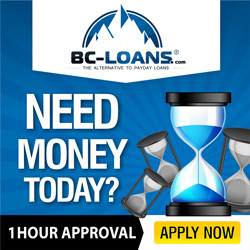 As long as you can pay back the loan on time, the financing is ideal for anyone needing emergency cash.